Late one evening this month, a woman appeared in the second-story window of an abandoned house overlooking a Detroit freeway. A spotlight illuminated her face as she flung handfuls of white petals down to the crowd gathered outside a venue that felt more like the setting of a dark fairytale than a fundraiser. 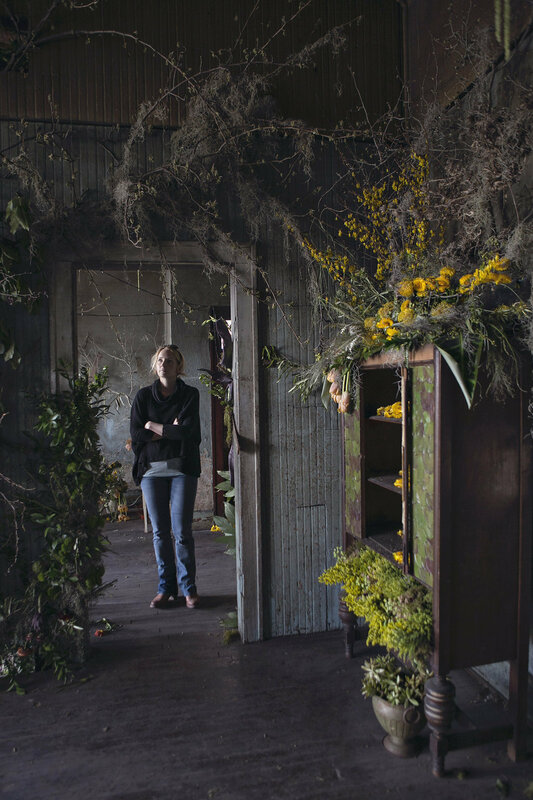 Branches of bright yellow forsythia hung over the doorways, catching visitors’ hair as they walked through the home, now owned by florist Lisa Waud. 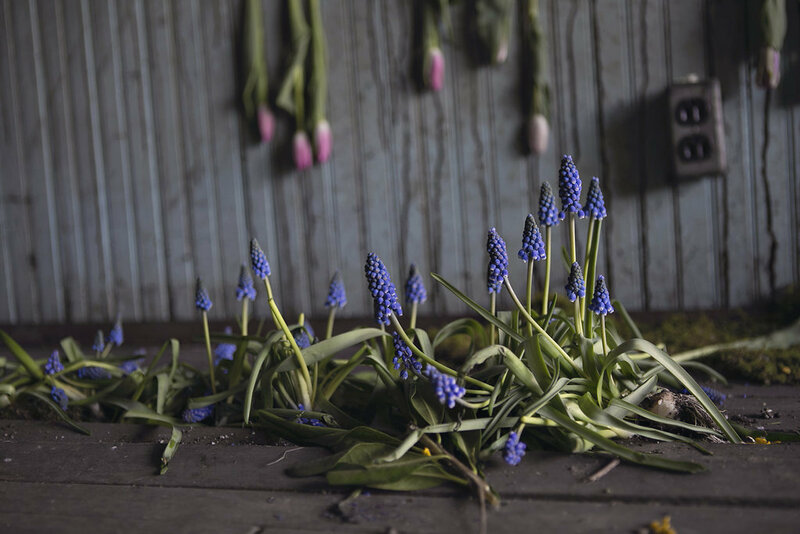 Grape hyacinths sprouted up through the floorboards that a month ago had been hidden by several feet of debris, left behind by the house's former owners. White flowers sat in the crumbling toilet. Moss oozed out of the corners. Foliage pushed through one wall’s wooden slats, exposed by the worn-down plaster. Photo by Heather Saunders Photography. 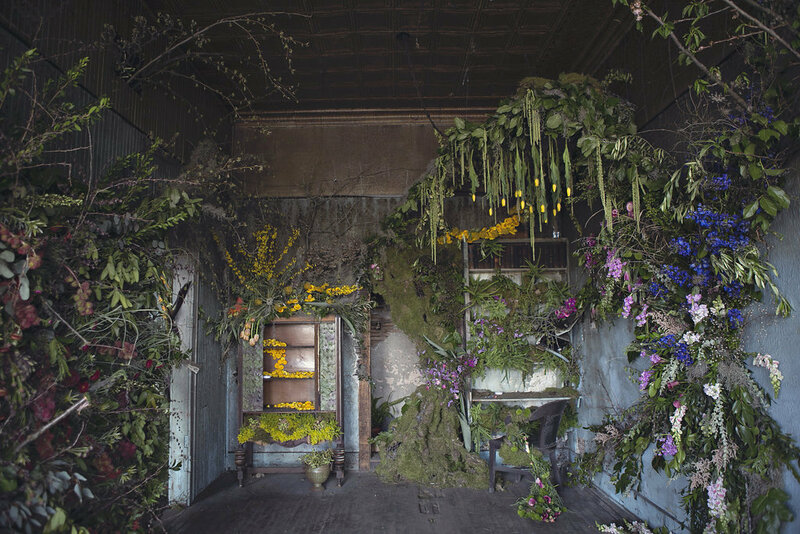 This was Waud’s trial run for the “Flower House,” an exhibition planned for October in which florists from around the country will fill 15 rooms of a vacant house with natural installations. Last year, Waud bought two neighboring deserted homes in Hamtramck, a small city within Detroit’s borders, from a foreclosed property auction for a total of $500. One of the homes will be transformed for the forthcoming exhibition. The May 1 preview took place in the former storefront on the first floor of the other house, where televisions were repaired decades ago, a neighbor told Waud. 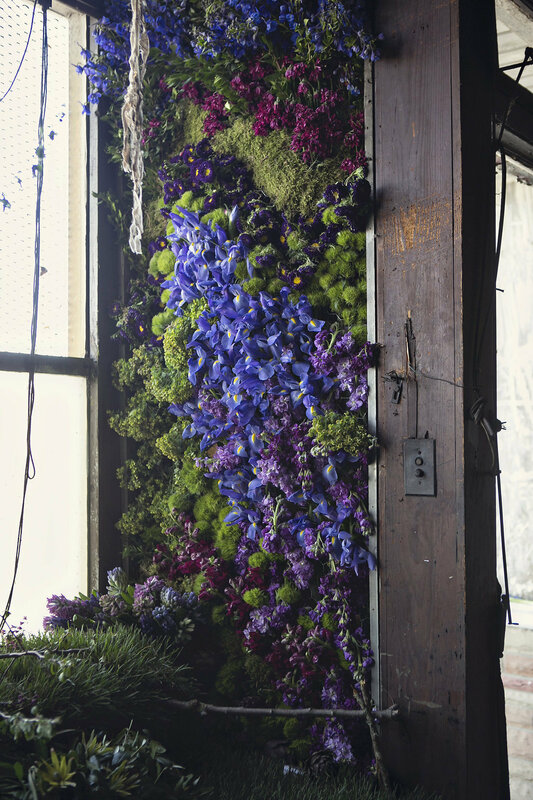 This month’s smaller installation promoted Waud’s crowdfunding campaign to raise $50,000 -- about a quarter of which Waud said she will use to commission a mural from local artist Louise Chen, known as Ouizi, and secure the Flower House ahead of this fall event. The rest would go toward deconstructing the homes after the exhibition, clearing the land and paying Indiegogo fees. 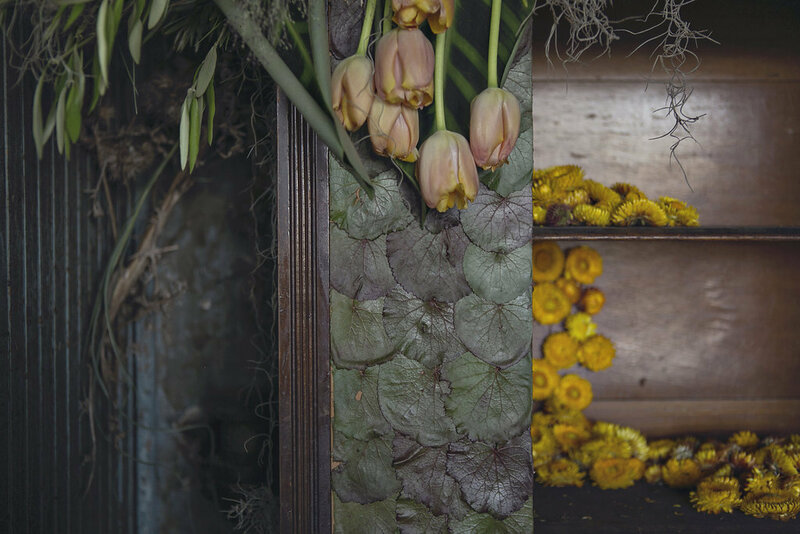 The preview show also gave florists the chance to test out ideas for the immersive exhibition, which allows them to experiment beyond the confines of their professional work and clients’ requests. 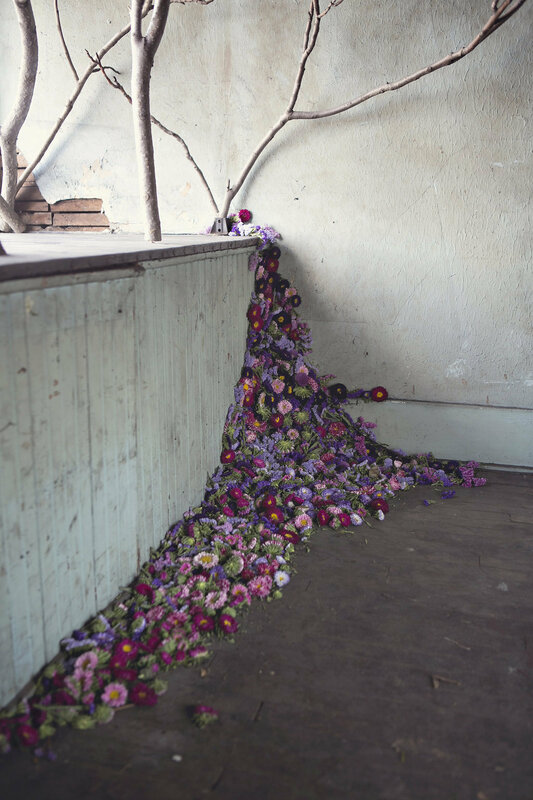 It took the florists 48 hours and about 4,000 flowers to create the installation. They expect to use between 60,000 and 100,000 stems for the upcoming exhibition. Waud originally planned to fundraise for the flowers themselves. 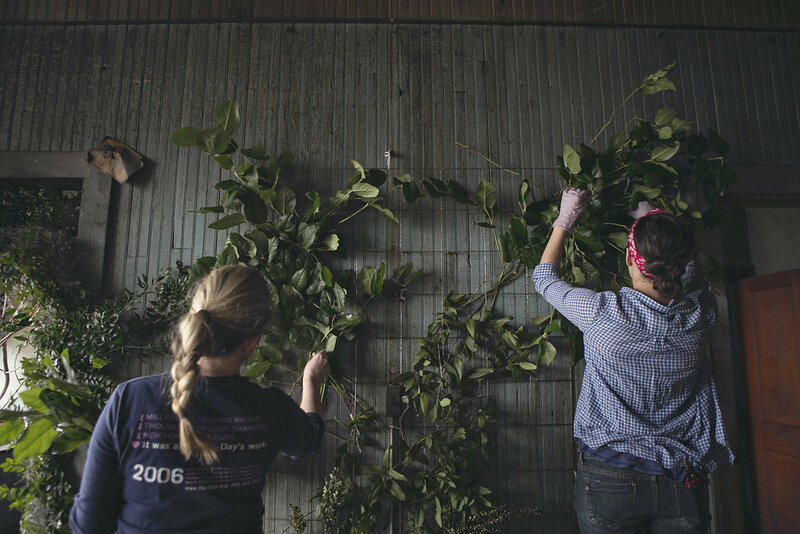 But as flower farms across America got wind of her project, more and more sent donations through the wholesalers she uses. The blooms for October's installation will also be donated. “It was a pretty joyful thing, as these trucks kept pulling up," she said. 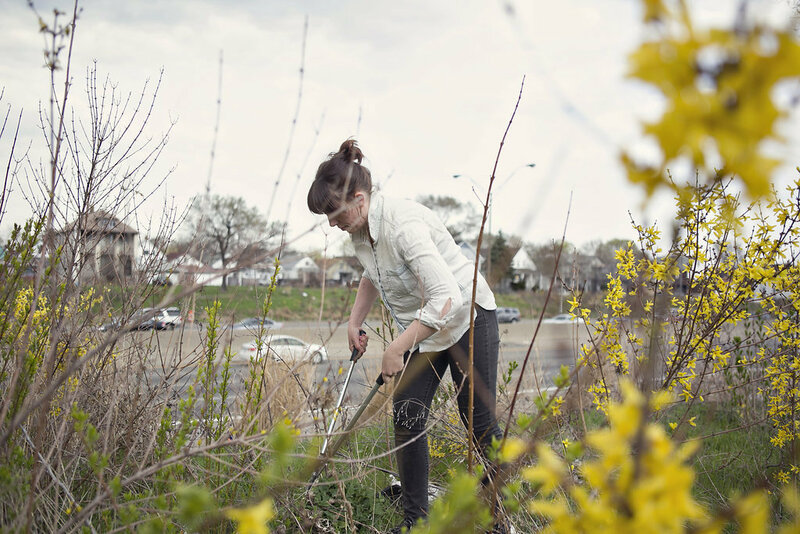 Some of the plants, however, were grown closer to home -- the forsythia, for example, was harvested from a nearby freeway median. The Flower House team received everything on their wish list of 32 seasonal flowers, from popcorn viburnum to dog eye euphorbia. 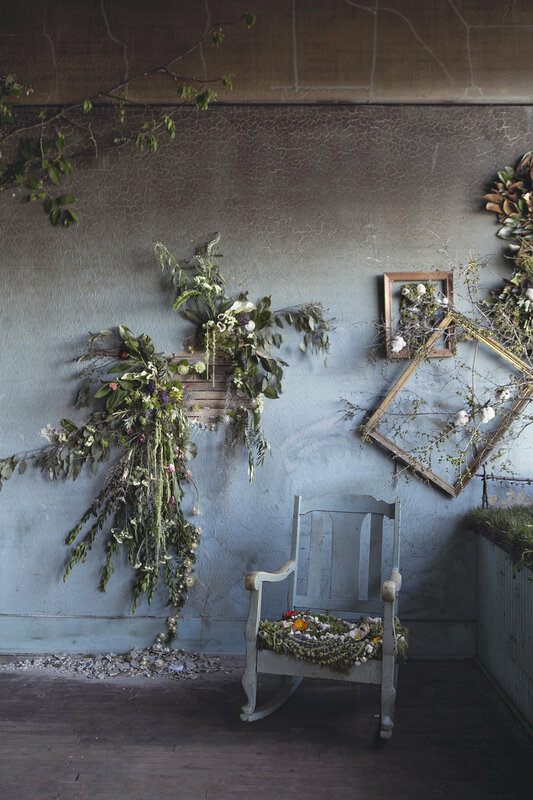 Much of what they asked for was greenery, which evoked an untamed forest despite the obvious human touch. 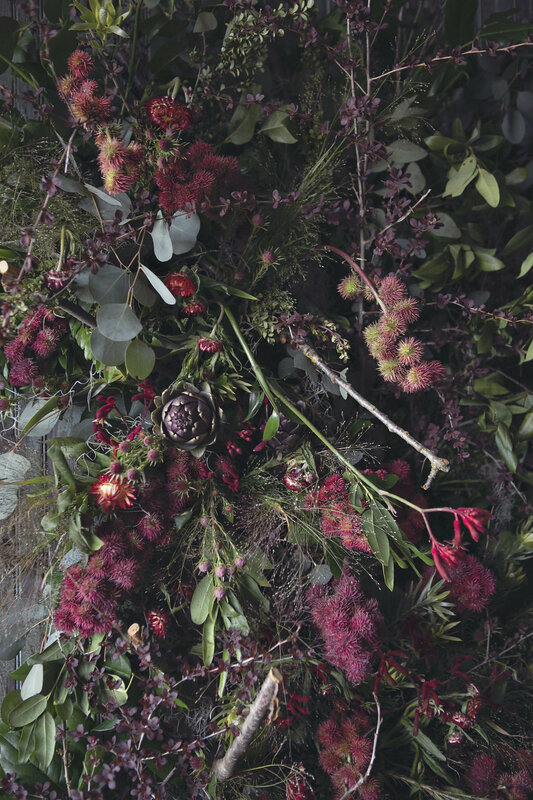 For October’s exhibition, each florist will design a room and order specific flowers in advance. 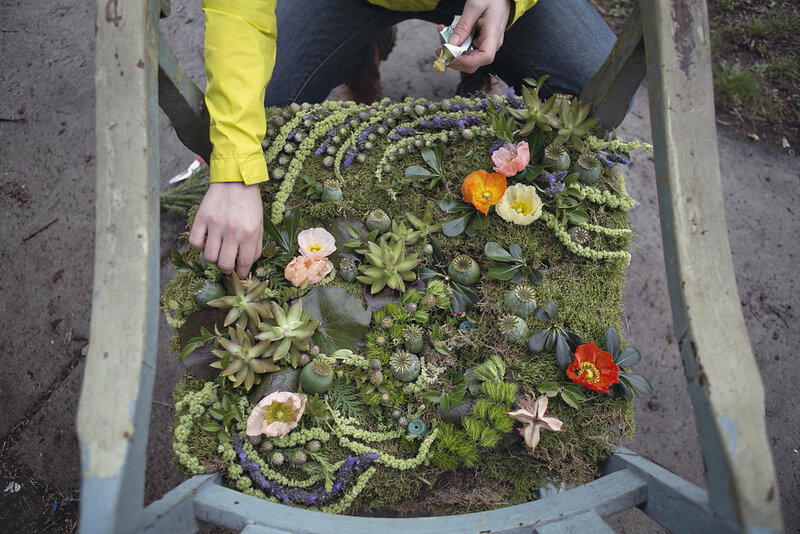 In contrast, for the preview, Waud and 13 of the partnering florists worked collaboratively and used whatever was donated. “At first I wanted it to be very contemporary ... but when you invite other people into your project it’s not just you,” Waud said. While she had pictured a minimal approach, she said others ended up incorporating more from the house, hauling up furniture from the basement. “I was very thankful I wasn’t stuck in my vision,” Waud added. 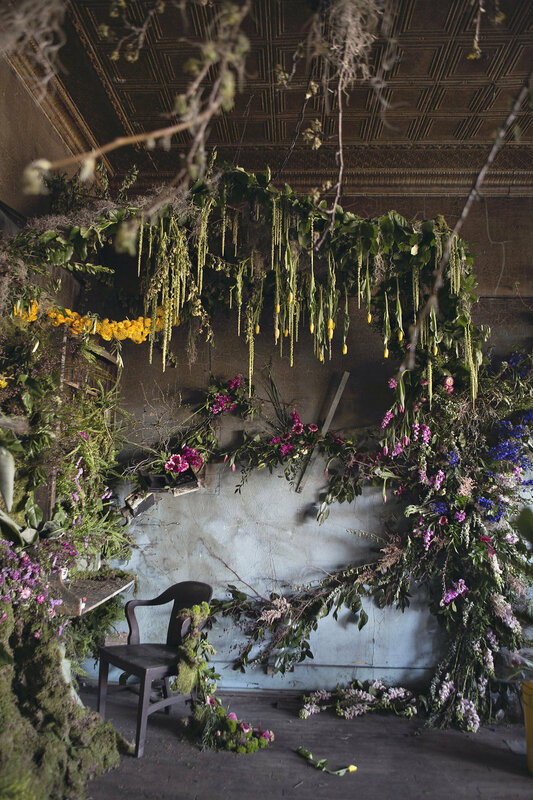 Waud’s plan for the Flower House began without a location or much else beyond a mental picture of flowers covering every surface of an environment and a feeling she wanted to evoke in visitors, one of awe. The project has since evolved to include an emphasis on sustainability and a long-term plan for the properties, just two of the thousands of vacant buildings within Detroit's borders. Waud will partner with nonprofit Reclaim Detroit to deconstruct the homes after the exhibition. Unlike demolition, deconstructing salvages the majority of materials rather than throwing them away. Her campaign, which lasts through mid-June, has raised $6,000 so far. Waud acknowledged that $50,000 is an ambitious goal, but said she plans to continue the project if she does not reach it. After deconstruction, she intends to return the properties to productive use, cultivating a farm to grow flowers for Pot & Box. The wilted clippings from the installation will become mulch, and the ones from the recent preview are already composting in preparation.